AmazonBasics Resistance Band Set Just $16.95 Down From $24.99! You are here: Home / Great Deals / Amazon Deals / AmazonBasics Resistance Band Set Just $16.95 Down From $24.99! Do you love working out? 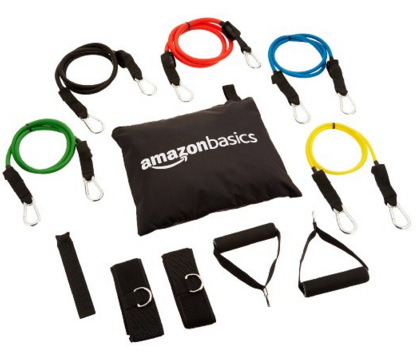 AmazonBasics Resistance Band Set is just $16.95 down from $24.99 on Amazon! Get yours now before the price is gone!